State Senator Scott Wagner’s (R-York) Gubernatorial campaign launched a new statewide ad campaign introducing Wagner voters. “Scott has spent the last 37 years as a business leader committed to improving companies and creating economic opportunity,” campaign spokesman Andrew Romeo said. 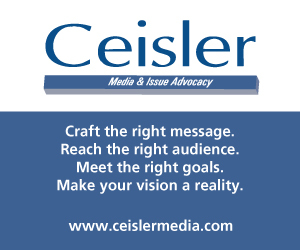 According to FEC filings, the ad will air in the Erie, Johnstown-Altoona, Harrisburg, and Philadelphia media markets. The ad features Wagner speaking to the camera saying why he is running for Governor. “I started this business from the ground up. Harrisburg insiders take care of themselves, not us. I’m running for governor to clean up their mess. My plan will junk the property tax, cut wasteful spending and put big government in the dumpster,” Wagner says. The ad is likely aimed to help Wagner’s name become more recognized across the state ahead of state GOP caucus meetings, and the state GOP’s endorsement meeting this winter. “Scott is showing he is committed to running an aggressive campaign and is in a strong financial position going into 2018,” Romeo said. The Pennsylvania Democratic Party turned Wagner’s ‘Harrisburg insiders’ comment back on him, and went on the offensive against his position against the severance tax, and his support of Senate Bill 3. 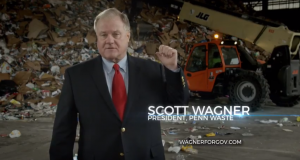 “If Scott Wagner wants to take out the trash in Harrisburg, he should start by looking in the mirror. What ultimate Harrisburg insider Wagner is not telling you in his new ad is that he wants to let big oil and gas companies off the hook and go back to the days of Tom Corbett’s one billion dollar education cut while taking away a woman’s right to make her own health care decisions and gutting Medicaid and nursing home care for our seniors. He’s far too extreme for the people of Pennsylvania,” Pa. Dems Communications Director Beth Melena said. You can view the ad below. Senate Republicans hate Wagner, Senate Democrats hate Wagner, House Republicans hate Wagner, House Democrats hate Wagner and Tom Wolf hates Wagner. Seems to me he is the perfect fit. Time to drain the Susquehanna and wash all those crooked pols down with it! It seems like Mango’s crew is feeling the HEAT!! Rick, no one knows who you are right now, so what’s your point? Scott Wagner is silly. Argues with a tracker ie “opposition research photographer” at a country club speech and turns an ordinary political event into some goofy encounter. Without question Wagner is Gov Wolf’s dream opponent. Someone who can be baited that easily is anyone’s dream opponent. Hot heads also tend not to be particularly effective negotiators. missed 109 votes. get lost. missed every primary election since he turned 18. get lost. Another dork from york.mango all the way. I can understand not liking Wagner, but Mango is a joke. I’d rather listen to Al Gore read from the dictionary than hear Paul speak. ok colonel, the man actually has a plan I can read now, and it’s good. Just cuz you don’t want him to read you bedtime stories doesn’t mean he isn’t the right man for the job. 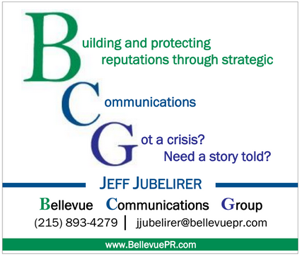 Saw this ad four times in the very expensive 6:00-7:00pm time slot on broadcast tv in the Philly media market. This guy is going to blow millions from his own fortune to be nothing more than FORMER State Senator Scott Wagner a year from now. So Wagner, who missed 109 votes on the floor. Who has now made friends with the scabies faced Bannon, who helped Judge Roy Moore lose a red state that hasn’t been blue in most of our life times. A man who had to shown how to place trash bags into a truck while filming a political ad. This Scott Wagner is going to accomplish all of those things all while managing to be the most disliked man in Harrisburg? Oh grab your your popcorn folks, it’s going to get good. I hadn’t heard about the trash bag thing. Isn’t his big thing that he sometimes drove his own trucks when starting out? This clown 1 per center is the last person we need as governor now. The only good thing will be if he wastes a bunch of his fortune in a losing run. The problem is that Wagner is recycling failed GOP policies. This almost feels like a parody ad….almost. Good luck blowing all your money, Scottie. Wolf by 15. Wolf is a socialist nightmare. The ppl are awkening, Mango 4 Governor 2018, MPAGA!! When he ran in the special election for State Senate, someone referred to Wagner in this forum as a “smarmy garbage man”. That could be a good introduction. If he’s so tough, why did his daughter take a PFA out against him?? Someone is going so say “but she retracted it”- we all would for her potential inheritance! abuses his daughter, assaults and steals from a tracker, thinks wet point is a demerit, thinks the earth is moving too close to the sun and ppl are breathing too much causing global warm(every bit of that last part is false btw), only people vouching for him are paid by him. Can someone tell me at least 3 legislative accomplishments he has made in his three plus years in Harrisburg? Seems to me the guy is all talk. “Tough”, starring John Goodman as Scott Wagner.